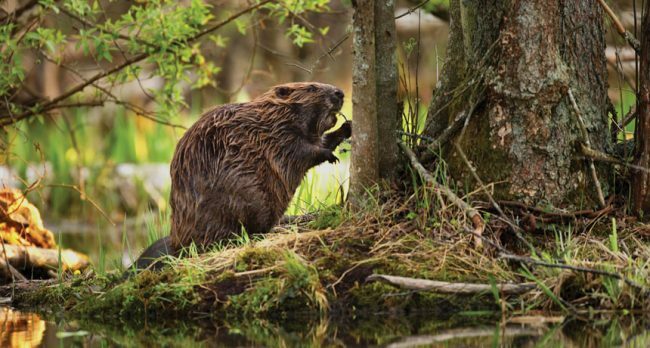 Wilton Wildlife Preserve & Park and Saratoga PLAN are teaming up to offer a nature walk that is all about New York State’s official animal: the Beaver! Environmental Educators from the Preserve & Park will be joining with nationally renowned beaver expert, Skip Lisle to lead this family-oriented walk. The walk will leave from the Meadowbrook Parking area of the Bog Meadow Brook Nature Trail and explore the wetland habitats that are created and maintained by this fascinating animal. Participants will learn about the importance of the beaver to the exploration and settlement of our region, about its natural history, about how it is one of the few animals to be able to manipulate the environment to create its own habitat, and about the efforts that Saratoga PLAN has gone through to help keep the beavers as residents of the Bog Meadow wetlands. Space is limited and registration is required by April 18.